When your toilet breaks at home, at least you can call a plumber. On the International Space Station, sitting about 250 miles above the surface of the Earth, the solution is a bit more complicated. Last week, while trying to upgrade their toilet facility, the ISS crew accidentally caused a water leak on the station. 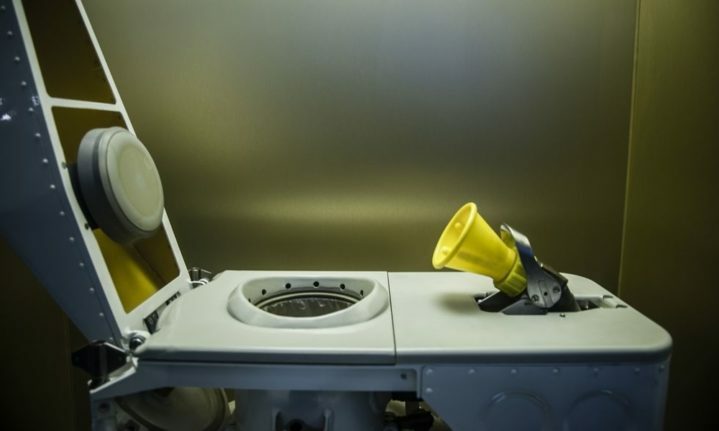 According to a NASA blog, the ISS crew were trying to install the new Universal Waste Management System, a next-gen toilet system that’s supposed to be smaller, lighter, cleaner, and more efficient than what they have now. The UWMS will be installed on NASA’s upcoming Orion spacecraft and the proposed lunar space station NASA is expected to construct over the next decade. Before any of that happens, though, the toilet is getting extensively tested on the ISS. Last week, a group of astronauts tried to set it up, and while eventually they managed to get it working, there were some complications. Specifically, one of the water pipes leaked, sending about 2.5 gallons of water drifting throughout the station. Astronauts managed to collect all the water and fix the leak without much difficulty. Beats having to fix a hole.